The medieval city of Saint-Malo lies on the Brittany coast, with Romanesque and Gothic architecture, and sweeping sea views—but without local knowledge, it’s easy to miss the hidden highlights. 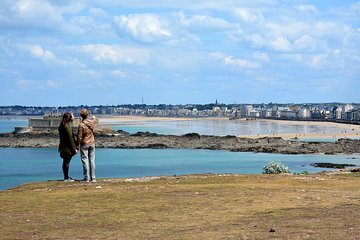 On this walking tour, explore both Saint-Malo and the surrounding beaches with your guide, admire sweeping sea views, and see the best of the city in one morning or afternoon tour. Let's meet 5mn before departure time.